First a Big Thank You to everyone who is a Site Sponsor! It it Spring and time for me to ask for your help supporting the site. 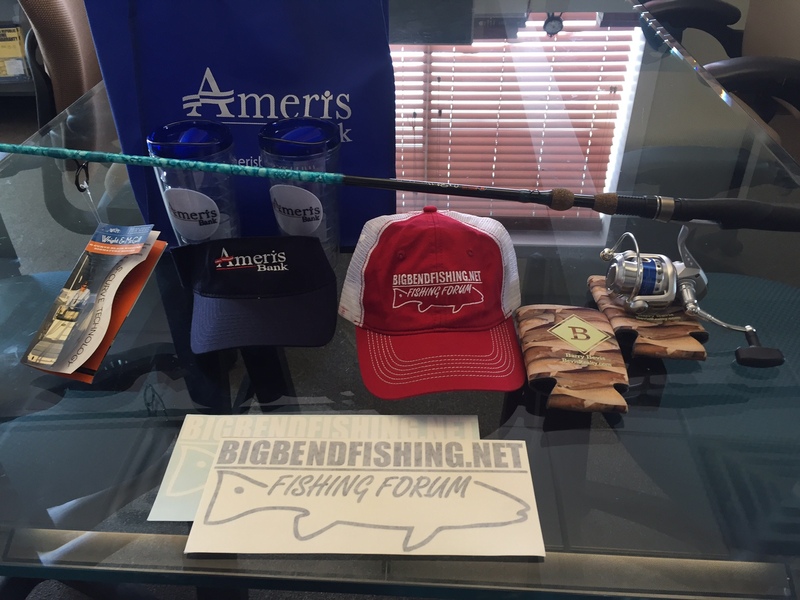 Everyone who donates through the end of the month will be entered into a drawing for a prize package. I am also including those who have donated for the last 60 days – thank you! 1. SeaTow 1 year membership good for new an renewing members! 2. 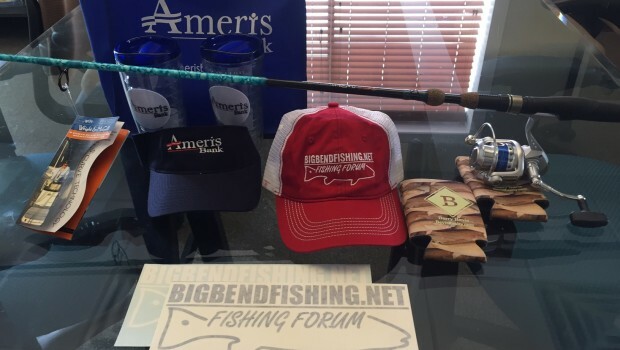 Tyler Oden with Ameris dropped off a swag bag with tumblers, a visor and more. 5. BigBendFishing.net Decals in white and black & The BigBendFishing.net hat in the color of your choice. A lot of you update your sponsor status regularly and a number of you send more than the suggested $10 You guys know this is a labor of love. I took over the site from Tom a few years ago because I enjoy it just like y’all. Most all of the money coming in goes right back to the site hosting and maintenance. I’d appreciate anything you can send. Small amounts from a lot of people make a big difference! You can donate with a credit card through Paypal or mail a check. 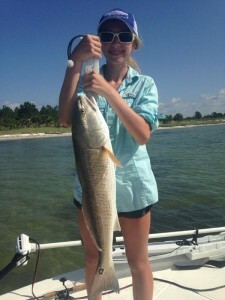 http://www.bigbendfishing.net/become-a-site-sponsor/Please include your screen name with any email or letter!